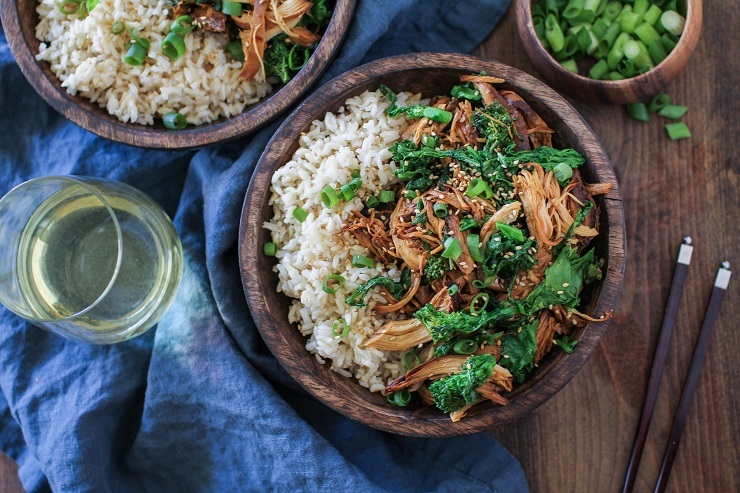 This tender, flavorful slow cooker teriyaki chicken with broccoli rabe uses homemade paleo teriyaki sauce, and is even better than takeout! Serve it up with steamed rice for the ultimate balanced meal. Who can resist the sweet, salty, tangy, sticky sauce with a touch of heat that is the iconic teriyaki sauce? I’m certainly a huge fan. Takeout teriyaki chicken has held a sacred space in my heart ever since I can remember. Great news, folks! For those of you who share my love of the dish but also like to keep your meals clean and nutritious, I have just the recipe for you! A couple of years ago, I started making teriyaki chicken at home using my own homemade teriyaki sauce. While I’m a sucker for store-bought teriyaki sauce, it can be loaded with not-so healthful ingredients, so I make a sauce that is soy-free, gluten-free, and refined sugar-free. Trust me, it’s just as easy (if not easier!) to make than its fully authentic counterpart. When I make chicken teriyaki, I’m in the habit of adding vegetables to balance out the dish (I know…shocker). So essentially, my take on chicken teriyaki is of the healthful variety, but is just as pleasing to the palate! 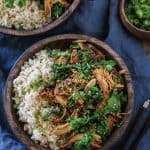 This crock pot version of chicken teriyaki turns out perfectly tender and flavorful, and happens to be worlds healthier than its takeout counterpart! Adding broccoli rabe for a supergreen vitamin infusion makes for a well-balanced, nutritious meal. 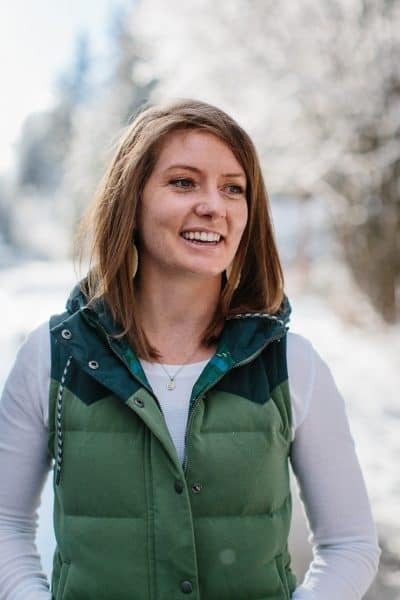 Have you ever heard of or tasted broccoli rabe? It’s a vibrant, hearty vegetable with both leaves and florets. 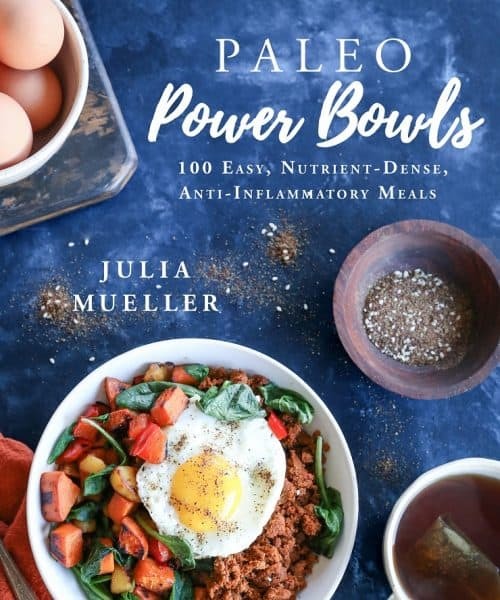 It can be added to all of your favorite soups, stews, stir fry, slow cooker or crock pot meals, or can be tossed in a skillet and sauteed with some olive oil (or butter) and garlic. While I only came across this versatile veggie in the recent years, it has been a staple in my diet since I was first introduced to it. For a nutrient boost, I added Andy Boy Broccoli Rabe to the recipe, keeping the meal on the lighter side and adding a nice crunch along with vitamins and fiber. Did you know a 3.5-ounce serving of broccoli rabe wins you half of the Vitamin C and Vitamin A you need for the day? Learn more about the health benefits of broccoli rabe. Other than the amazing flavor, my favorite part about this healthy dinner is the fact that it doesn’t require a huge time investment to prepare. The teriyaki sauce comes together in a flash, and all that is required is transferring everything to your slow cooker. I like setting everything up before leaving the house in the morning so that I come home in the early evening to an amazing aroma and an already prepared dinner. 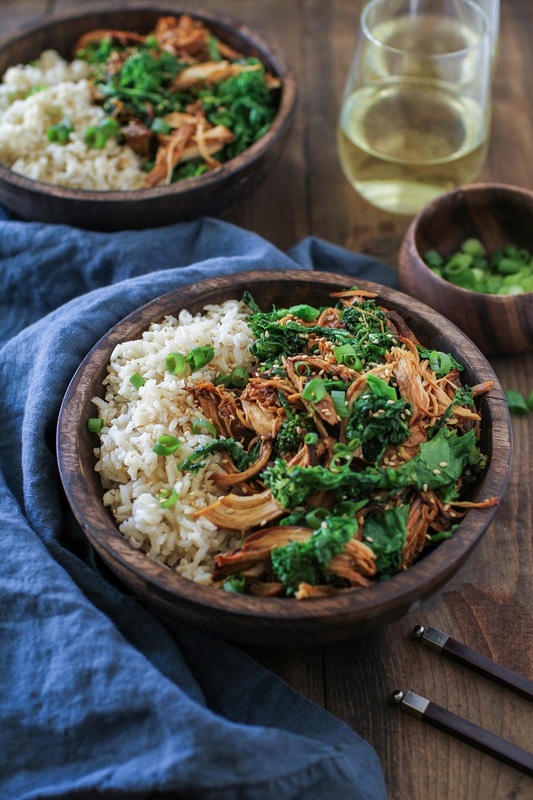 Serve this delicious chicken over brown rice or quinoa for an easy weeknight meal! Add all the ingredients for the teriyaki sauce to a blender and blend until smooth. 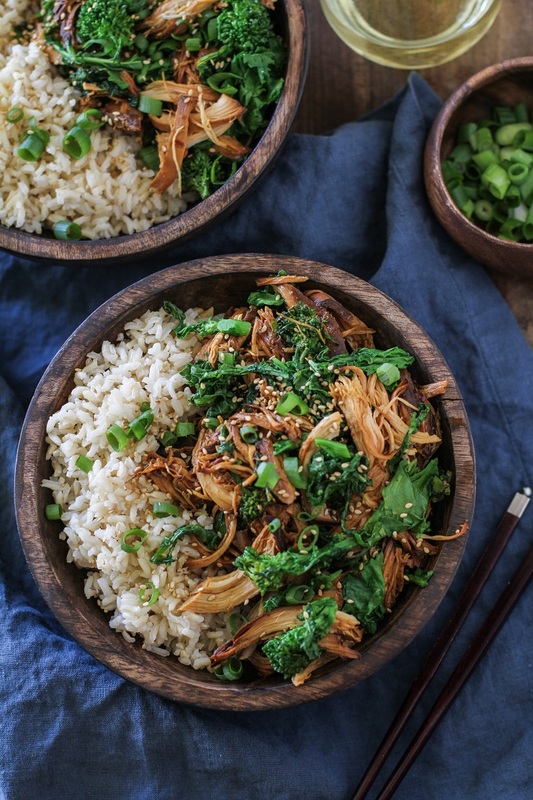 Set aside 1 cup of the sauce for the crock pot teriyaki chicken, and pour the rest of the teriyaki sauce (about 1 cup) into a saucepan. Heat to medium-high and bring teriyaki sauce to a full boil. Reduce the heat to a simmer and cook until thickened, about 8 to 10 minutes. Transfer the thick teriyaki sauce to a jar and refrigerate until ready to serve the crock pot chicken. Heat the grapeseed oil to medium-high in a medium non-stick skillet. Add the chopped onion and sauté, stirring occasionally, until onion begins turning brown, about 10 to 15 minutes. Add the garlic and continue sautéing 2 minutes, until garlic is fragrant. Transfer the sautéed onion and garlic to your crock pot. Place the raw chicken breasts on top of the sautéed onions in the crock pot and pour in the reserved 1 cup of teriyaki sauce, along with the chicken broth. Stir until broth and sauce are combined. Cover the crock pot and place on the lowest setting. Cook for 6 to 8 hours, or until chicken is tender and cooked through. Transfer chicken to a cutting board, leaving the juices in the crock pot. Use two forks to shred the chicken, then place it back in the crock pot. 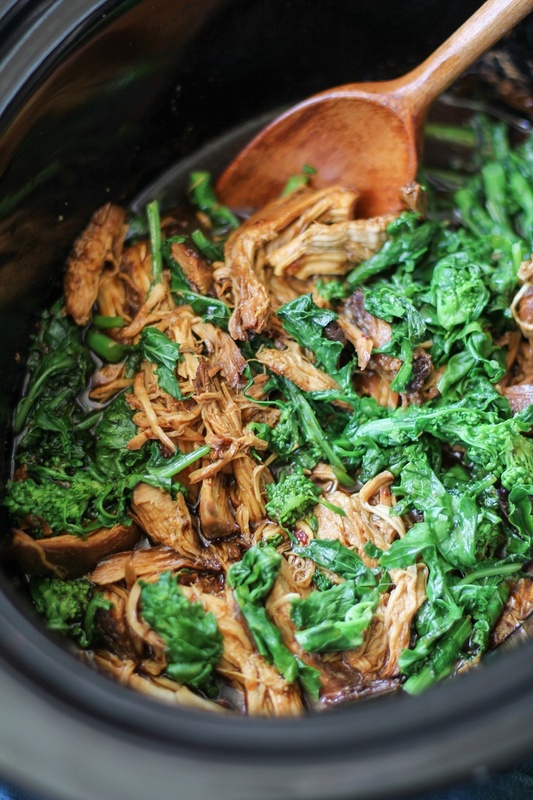 Add the chopped broccoli rabe to the crock pot. Cover and cook 1 hour more, or until broccoli rabe is tender. This looks so tasty! What a nice meal for cold winter days! I love teriyaki sauce, and balancing it out with loads of veggies is the way I like to do it! 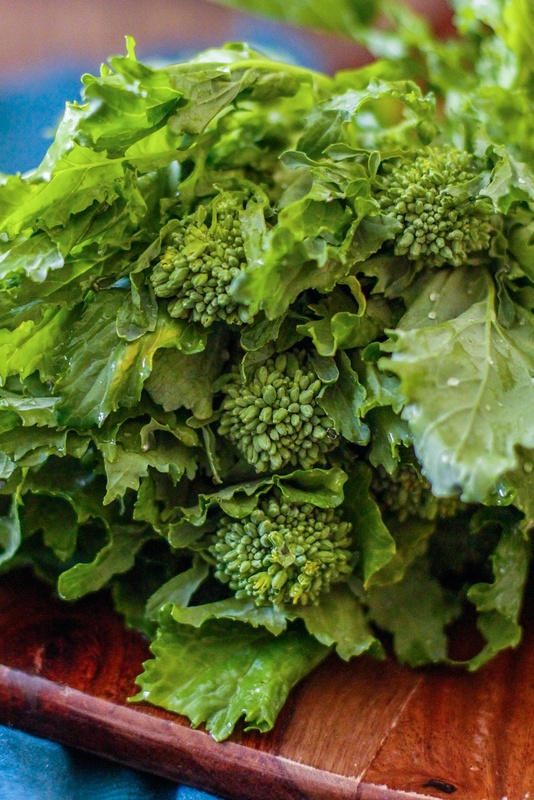 Broccoli rabe is something I don’t use enough, and it sounds perfect with that sauce. I love that it’s made in the slow cooker! That’s awesome! Teriyaki lovers unite! I hope you and your family enjoyed the recipe! I certainly can’t resist a teriyaki sauce x) Thanks for the recipe, it takes a while to bake but it’s worth every second. I’m so glad you like it, Rachel! Thanks so much for the feedback! I definitely think it’s worth the time, too 😉 xo!